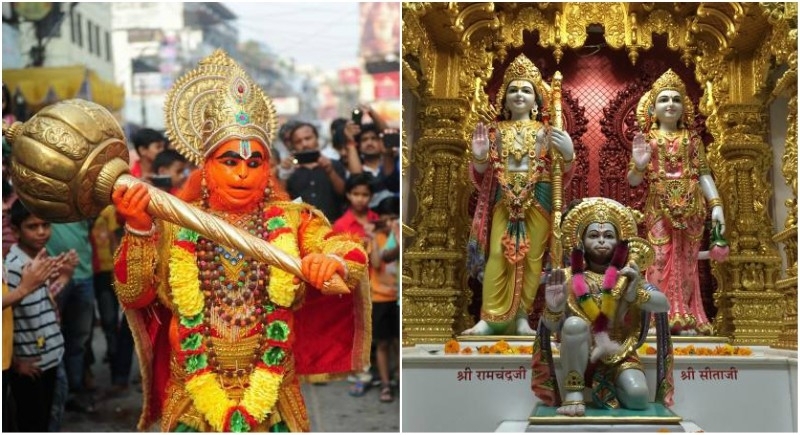 Mumbai, March 31: Today, worshippers will be seen queuing up carrying small, tiny vessels of oil to have a single glimpse of super strong, a symbol of strength deity, Hanuman. Full moon day of Chaitra month marks as the birth anniversary of Hindu Deity Hanuman. He is the symbol of true devotion, true friendship, and backbone of a powerful soul. He was the one who supported Shri Ram in his each and every path. Right from being a helper to a friend, a brother to a devotee, Hanuman has played every role for his beloved Shri Ram. His each and every vein just chanted one and only one name ‘Ram Ram Ram.’ Even Shri Ram is considered incomplete without Hanuman sitting beside him bowing the head. In today’s world Hanuman is considered as a symbol of strength, a child going for examination bows to Hanuman, a man going for job bows to him, one going for sports bows to him, or an aged ill person bows to him because he is the source of power and energy. Children consider him as a superhero.